Henri Matisse was a french artist born in December 1869 and died in November 1954. He was known for his bright paintings and bold cut-outs but he also worked as a printmaker, draughtsman and sculptor. Matisse's painting style evolved throughout his career. He changed the spot technique of the pointillists by using more lines and flat shapes. He was a leader for the Fauvism movement. It was during this time the use of his bright bold colours became of even more of an importance. 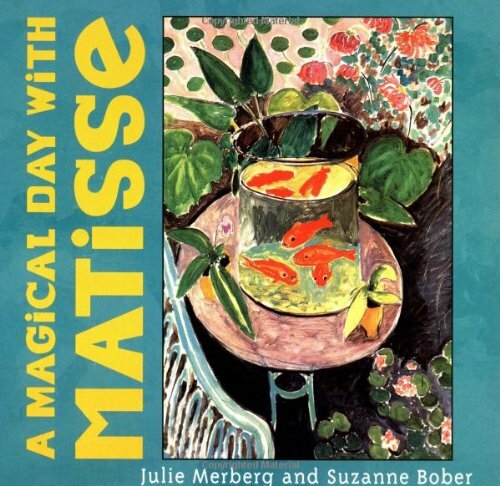 Matisse loved to paint still life's of flowers or fruit. He loved to paint portraits with beautifully realized interiors and landscapes of the French Rivera. 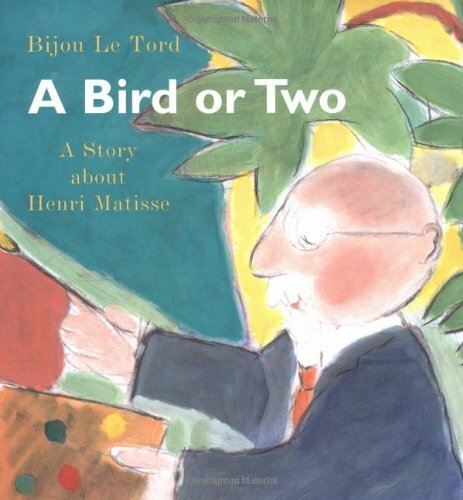 It was at the end of his life when Matisse was diagnosed with abdominal cancer that he started creating his famous cut-outs. He would cut sheets of paper pre-painted by his assistants. The cut-outs started out modest in size but over time they became mural sized. Foam Paper or Construction Paper - to create shapes to cut out. The foam paper is very easy to manipulate for beginner cutters and it really gives a nice texture to the piece. Scissors, Glue and Painters Tape - little and big scissors for you and your child. Liquid clear glue works best. Painters tape to create a boarder. Canvas or Construction Paper - medium size canvas or a paper for background. Better to use a thick paper to avoid those wrinkles from glue. Paints - any kind of paint to make a thin background layer. Paint Brush - any kind of paintbrush but a thick brush would work best. Josephine loves cutting! She is just getting the hang of how it works but this activity really gets her inspired. I have two variations of this activity. The first way is simple cutting and gluing. It is also less time consuming (for the parent). The second way to do this activity makes a great finished masterpiece. To start off this Matisse adventure we watched a film children visit the Tate Museum's Matisse Cut-Out Expo. I found this film on the Tate Kids website. I could go on and on about this site, I love it! Check it out! Simple Matisse Cut-Outs - Simply draw with a light coloured marker the shapes you like onto the colourful foam paper or construction paper. Cut them out. Jojo and I like to look at the shapes Matisse created and make some of our own that are similar. Right now she really enjoys free cutting with no lines or shapes to follow. With time I know she will be excited to master her cutting skills but for now I leave her to discover on her own. After, on the white paper, let your child compose his painting with the elements he cut out and then glue away. Matisse Cut-Out Masterpiece - What makes this activity a masterpiece is the fact that we used a canvas and foam paper. I prepared a medium sized canvas with painters tape to create a boarder like a frame. Using just regular goauche paints it is easy for your child to paint inside the tape. This gives nice straight lines, just make sure to coach them to fill in the whole area like a background. When it is dry peel the tape off and paint the last white boarder lines a different colour. Then make your Mastisse cut-outs like in the first activity, compose your masterpiece when the paint is dry (shouldn't take long to dry) and then glue. After we were done cutting Josephine wanted to add more colour and detail so she used some sparkle glue and paint to decorate. I must say this activity kept us busy for quite some time!